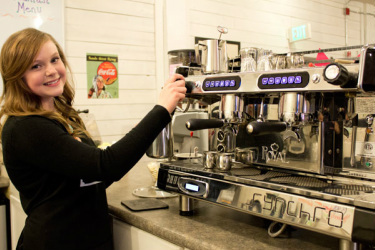 Allow one of our well trained Barristas to fix your favorite coffee or other drink. We offer coffee, chai, fountain soft drinks and specialty drinks. Pumpkin Pie Chai - Try a pumpkin pie chai. Perfect for those autumn days! Salted Caramel Mocha - A great way to start or end the day!